Platform Aerospace has integrated an agile R&D, engineering, design, and manufacturing facility, including over 10,000 sq. ft. of dedicated parts fabrication and production capacity. Our facility features leading-edge, fabrication, shaping, and cutting systems, producing aerospace quality carbon fiber composites, aluminum, steel, titanium parts and integrated component assemblies. Our parts fabrication provides for re-engineering and manufacture of aviation standard components utilizing the latest: Hass VF-6 Axis CNC Systems’, Omax Water Jet (2040 Maxiem) table and production line: electrical cable harness assembly, precision cutting saws, Paint Spray booths, final assembly / quality validation / test stations, and precise aviation quality hand-tools. Our parts fabrication, production and finish quality processes and standards are certified by the Intertek AS9100D / ISO9001-2015 Quality Management System Authority and, meet and exceed all NAVAIR, FAA and Flight Operability protocol and standards. Pre and Post-engineering Quality Assurance and specification validation is measured with a Faro Arm to ensure precise tolerances are continuously met. Our team of certified aviation engineers and technicians ensure conformance of all material and components by utilizing 100% certified aviation-standard material and suppliers. 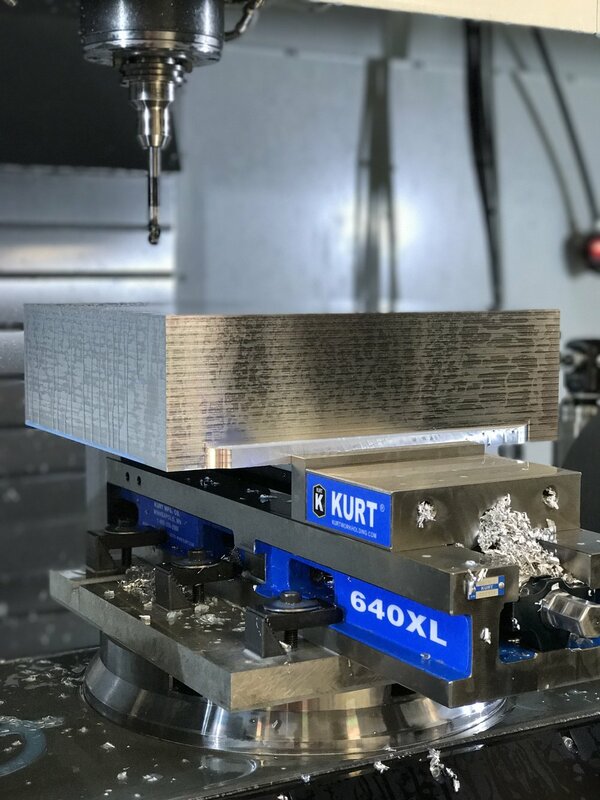 Our staff and aerospace fabrication systems cut, shape, hone and extrude components from 8-inch diameter aluminum, steel, and titanium blocks, to stringent and certified aerospace standards and tolerances. Platform’s certified systems, staff and approach ensures all fabricated parts and products are delivered on time and in budget. Platform Aero 5-Axis CNC & Faro Arm in action making P-3 Parts for Lockheed & Customs & Boarder Patrol.